Why Pediatric Asian Medicine Rocks! 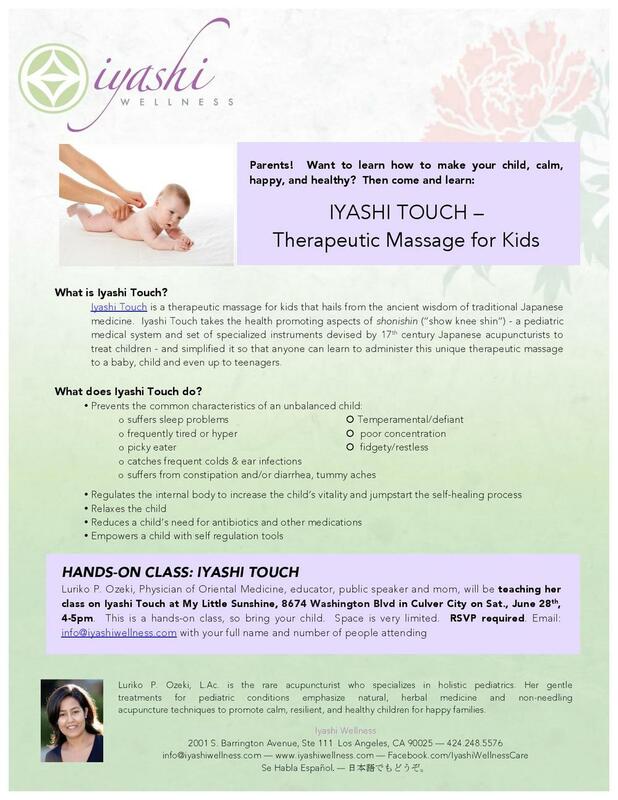 I am back at My Little Sunshine to teach Iyashi Touch, my unique but easy-to-learn therapeutic massage technique. It was a hit when I taught it at Milestones and I am so happy I am able to once again teach this class to the public in such a wonderful venue. Make sure to RSVP to info@iyashiwellness.com as space is limited! © 2008-2019 iyashi Acupuncture, inc. dba IYASHI WELLNESS - All content on this website is Copyright Protected. Redistribution of any kind or media is not legal without permission.